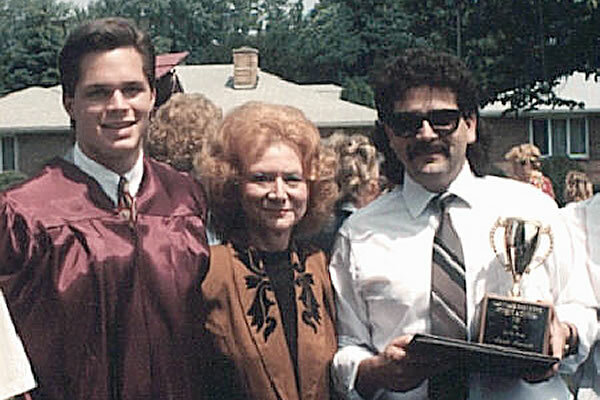 Mark, his Aunt Jeanne and Cousin Mitchell at home after the 1992 Maryvale High School Commencement Ceremony. Mark won the Student Activities Cup. 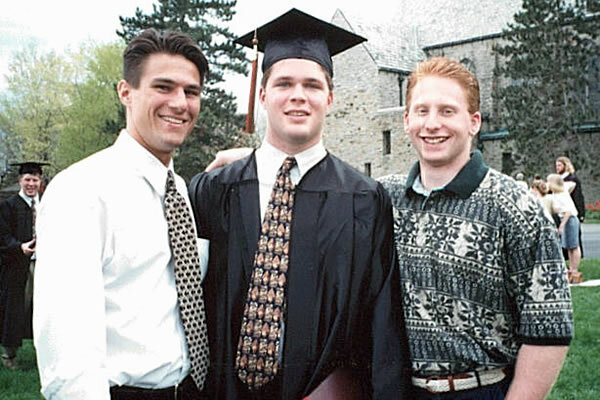 1996: David Klepser, Mark and DJ Mariello pictured a short distance from the future site of the new SLU Student Union where the Mark Allan Monaco Memorial Interview Room will be housed. 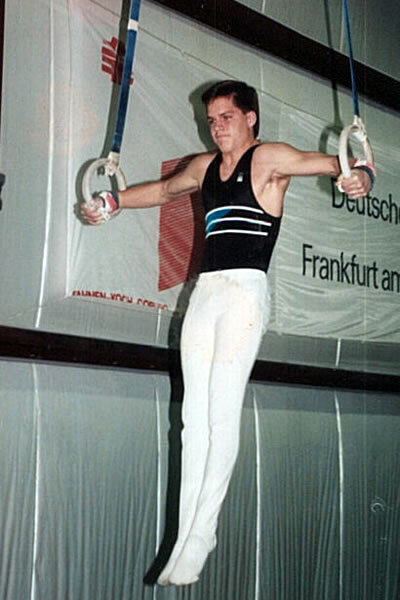 In October 1991, his high school gymnastics coach, Colleen Tonsoline, recommended him for the 'Gymnast of the Year Award' in Western NY. Later that year, Mark received that honor. Colleen's letter of recommendation is captured below. 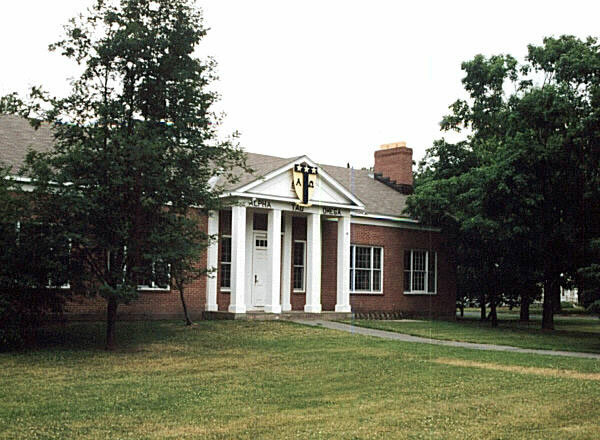 ATO, Alpha Omicron House on the SLU Campus. Site of the Mark A. Monaco Memorial Lounge. 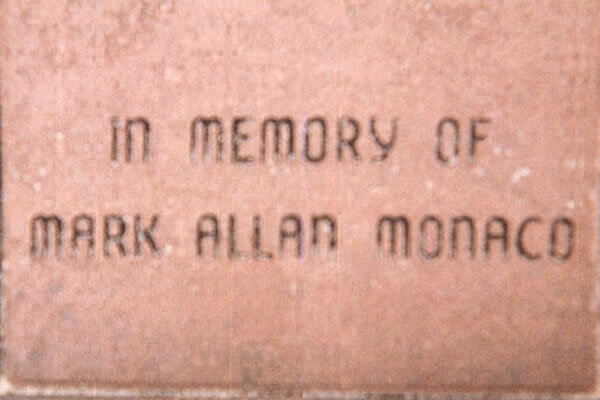 This brick is inscribed and imbedded in the ground outside of Ralph Wilson Stadium, home of the Buffalo Bills. Mark's parents have been season ticket holders for nearly 30 years.